TVs are nothing like what they used to be. Today, they are slimmer than ever and come with excellent audio and video quality. What’s more, there are some that have smart TV features. As a consumer, you would assume that all of these top-notch features are reserved only for high-end TVs, but what if we tell you we found the perfect reasonably priced TV with all of these features and more? Don’t believe us? Read our detailed review of the Insignia NS-43DF710NA19 Fire TV Edition to know more. Insignia is a brand that manufactures and sells a variety of products, such as gaming appliances, car electronics and GPS, cameras and camcorders, accessories for cell phones, home appliances, smart home appliances, computer and tablets, and several more. However, the brand is particularly well known for its range of televisions and home theatre accessories. The brand’s main goal is to sell consumers electronic devices that are dependable, easy to use, and most importantly, affordable. All of Insignia’s products are tested to meet very high standards of functionality and quality. Their products are built exceptionally well and will last a long time. The Insignia NS-43DF710NA19 Fire TV Edition is ideal for those who want excellent picture quality that delivers the most vibrant and bright colors. This TV comes loaded with quite a few impressive features, the top one being its smart TV features. The Insignia NS-43DF710NA19 Fire TV Edition has a very polished design, thanks to its faux-brushed metallic finish. This does an excellent job in dressing up the rather dull plastic construction of TV. In terms of its measurement, without the stand, the TV measures in at 38.2 x 22.5 x 3.2 inches and weighs less than 20 pounds. This makes it easy to carry and assemble anywhere you would like. For the stand, the company has provided two feet. Although this is made from plastic, what we liked about it is that it sits perpendicular to the TV rather than an awkward angle that most TVs have. However, this TV is slightly thicker and comes with a rounded chassis. The back panel consists of a four-hole pattern, which is made for a standard 200 x 200 mm VESA mount. This TV’s left side comes with two panels of inputs. There are two HDMI ports, one of which supports ARC. There is a single USB port, along with a 3.5mm aux-out port too. Moreover, there is a second rear panel that offers the third HDMI port, composite video input, an RF connector for the antenna, digital optical output, and an ethernet port. The TV also has 802.11 AC for wireless connectivity. The Insignia NS-43DF710NA19 Fire TV Edition offers a phenomenal 4K ultra-HD picture quality. There are more than eight million pixels in this TV, which will deliver you jaw-dropping clarity with deeper contrast as well as colors that are very vivid. We tried multiple 4K-quality videos to test this TV’s picture quality. We were pleased to say that every single 4K video looked fantastic. The contrast ratio is also quite impressive. 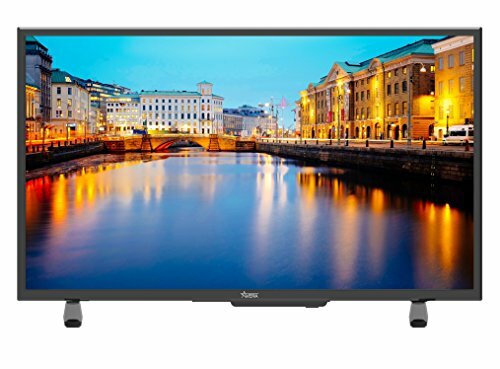 Even though this is a budget-friendly TV, its audio quality is at par with those TVs that cost over $600. It comes with two 8W speakers, and these are exceptionally loud and offer a decently rich sound too. The speakers produce a clean treble, and even the bass was more than good enough. At louder volumes though, the sounds do get a little distorted. If you like your audio quality to be spectacular, it may not be such a bad idea to buy a soundbar. The Insignia NS-43DF710NA19 TV comes with an in-built Fire TV platform along with all its accessories. This platform provides the TV with access to all the top streaming apps, such as Netflix, HBO, Showtime, Hulu, Prime Video, and many more. Best of all, this TV’s remote features separate buttons for Prime Video, PS Vue, Netflix, and HBO. At just a click of a button, you will be able to access these four streaming channels. Moreover, you’ll also be glad to know that it is compatible with Alexa. There is a microphone on the remote, which will not only allow you to use voice control to find your favorite TV shows or movies, but you can also use this voice command service to access your smart home appliances, such as the lighting, temperature control, and more. The Insignia NS-43DF710NA19 Fire TV Edition is the perfect TV that comes with fantastic audio and picture quality yet remains very budget-friendly. The 4K resolution is simply fantastic, and the audio quality is not too bad either. The Fire TV platform takes the TV to a whole new level with its smart features. The ample options for streaming channels, along with the in-built Alexa voice assistant, make all of it worth the investment. To test the Insignia NS-43DF710NA19 TV Edition one last time, we compared it to the Avera 43AER20 43-Inch LED TV. Similarity-wise, both TVs have the same screen size. Other than that though, there aren’t any more similarities. The Avera TV definitely lacks a lot of features. To start with, it only has a maximum resolution of 1080p, unlike its counterpart’s 4K resolution. Furthermore, it also lacks that faux-metallic finish. Even the overall quality of the built is just average. Where it loses most of its points is due to the fact that it does not come with any smart TV features, which makes it very disappointing to use. For this reason, we would advise not to consider it too much. 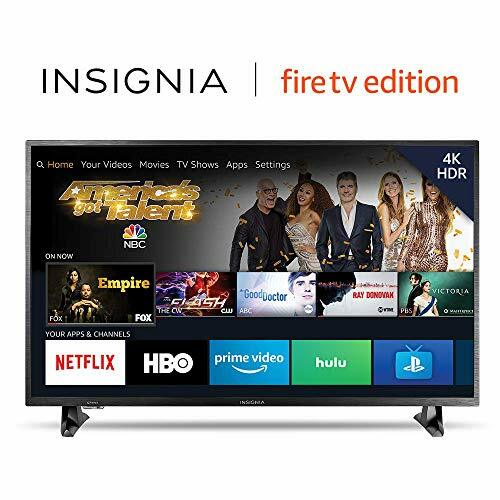 In all honesty, it would be hard to find a more budget-friendly TV with 4K HD resolution and impressive sound quality than Insignia NS-43DF710NA19 Fire TV Edition. The Fire TV platform, combined with the in-built Alexa voice assistant, makes this TV simply fantastic and a great buy.